Khakum Wood is an exclusive neighborhood off Round Hill Road in the city of Greenwich, in Fairfield County, Connecticut. Khakum Wood was built as an expensive residential enclave in the 1920s and 1930s and has evolved into an exclusive neighborhood association. Famed Central Park landscape designers, the Olmsted Brothers Landscape Design, and architect I. N. Phelps Stokes deserve much of the credit for the aesthetically beautiful Khakum Wood. Between 1908 and 1910 Stokes designed and constructed a stone castle on a portion of the 177 acres he had purchased in 1900 from W.A.Hustead, in an area that would become Khakum Wood. Some of the most affluent communities in America lie along a 30-mile stretch of coastline in Fairfield County, Connecticut. Considered part of the “Gold Coast” on the Long Island Sound, towns like Darien and Greenwich have some of the nation's highest per capita income levels. This is one of the most impressive luxury real estate markets in the country. Parts of Fairfield County are less than an hour train ride from New York City, and from some locations in the county, the New York skyline is visible. Fairfield County is not merely a bedroom community but a cultural center in its own right. Major employers in the area are in the business of healthcare and investment management services. The county boasts polo clubs, country clubs, and yacht clubs, yet the show of wealth is not ostentatious.The area has more of a New England feel as opposed to a New York City feel. Lobster shacks, tree-lined avenues, and old stone walls are as common as five star restaurants and luxury vintage homes. More than 50% of the homes in the area were built pre-1950 s and have been maintained beautifully which speaks to the residents’ commitment to preservation. They're over 280 properties listed on the National Register of Historic Places in Fairfield County. Homes with beautifully landscaped acres and exceptional lake views are the norm in Khakum Wood. 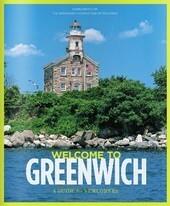 Condominiums, townhomes, and single-family homes are all types of real estate available in the Greenwich market. 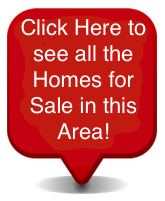 The average listing price for a condo is approximately $1,453,826 with prices going as high as $4,250,000. The average list price for a single-family home is about $4,210,121, however, the prices can go as high as $49,895,000. Contact us today to answer any questions or to schedule an appointment to see any of our outstanding properties for sale in Khakum Wood or any Greenwich neighboring community.